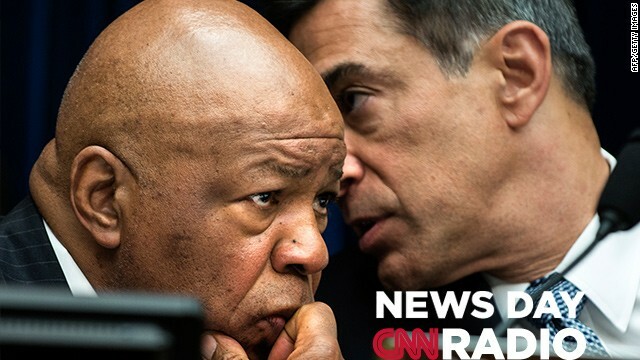 Rep. Elijah Cummings (D-MD) and Rep. Darrell Issa ( R-CA) at a hearing on the 2012 attack on U.S. diplomats in Benghazi, Libya. CNN Radio News Day is an evening news program providing an informative, thoughtful and creative look at the day's events. It's posted Monday through Friday at 4:30 pm ET. You don’t have to be at this blog to listen, we want you to take us with you! Click the download button in the SoundCloud player and put us on your smart phone or tablet and bring us with you in the car, on the train or while you’re working out. 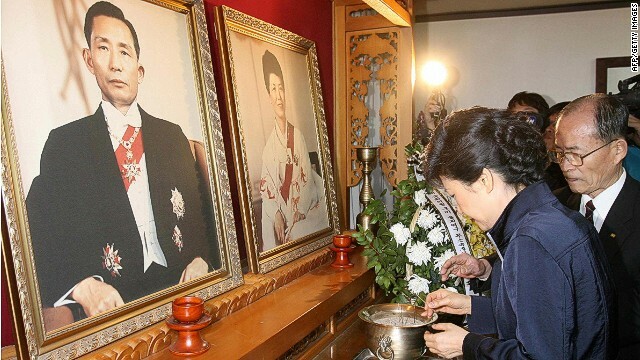 In this photo from 2008, South Korea's President Park Geun-hye pays tribute to her parents. (CNN) - South Korean President Park Geun-hye continues her official visit of the United States today. In her first overseas trip, President Park will address a joint session of congress. Yesterday, President Park and President Barack Obama held a news conference in the East Room of the White House. The two talked security, culture and trade. [:22] "Today we agreed to continue the implementation of our historic trade agreement which is already yielding benefits for both of our countries," said President Obama. Obama also made a joke about k-pop star PSY, saying his daughters have taught him the ubiquitous dance moves. But k-pop is also big business and the latest export from a country that's grown its economy through trade.